In this workshop, engineers of Works Applications will talk about their technology and knowledge. They will talk about Spark, Cassandra, Machine translation, Global team management, etc. Speakers are working in Global Research & Development team. Please experience our technology and knowledge. ※The talk will be given in English. We will introduce the use case of Cassandra about "HUE" development. 1. History of Cassandra usage in Works Applications. 2. Popular use case of Cassandra in "AI Works". 3. Best use case for Cassandra. 4. Complex ERP requirements and where Cassandra faces trouble. 5. Customized Cassandra to solve such issues. 6. Are there any better alternatives than Cassandra ? This Workshop is recommended for having basic knowledge of the bellow. We are also welcome those who do not speak only English. ※英語での講演になります The Talk will be given in English. This workshop will be held in 20-30 guests. A lottery may be held if there are more applicants than spaces available. The lottery results will be announced before June 18h. 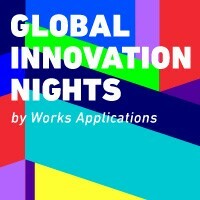 Global Innovation Nights will be held next time. The schedule is bellow. We are expecting your participation.